The beauty of a good old fashioned, printed, photo album is its ability to take you back in time with every flip of the page. From sweeping aerial city views of Melbourne to long stretches of rail yards, from park-lined lake vistas to snow-covered roof tops; the early 20th century visions captured in the Victorian Railways Electrification Scheme album within our collection, paint a stunning story of Victoria around the time of the electrification of the Melbourne Suburban Railway System. Work on the electrification of the railways commenced around 1912. There are no dates on the Victorian Railways Electrification Scheme album, however the date range of circa 1919 has been estimated due to similarities with other promotional or publicity material prepared by the Victorian Railways in that time period. The first two photographs to adorn the album's pages are images of Flinders Street Station and passenger yard. 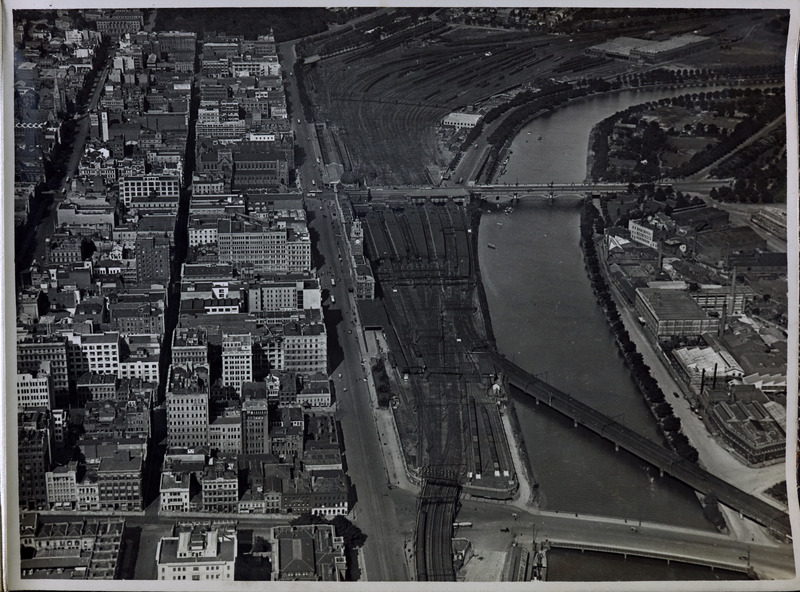 Looking specifically at the photo on the right, you can see the Jolimont workshops and substation in the background, with Heidelberg and Clifton Hill lines top left. 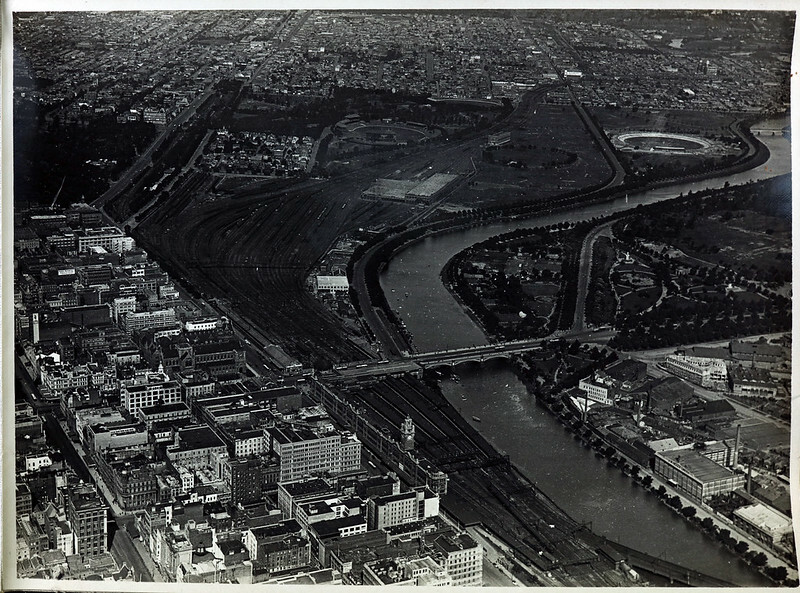 You can also clearly see the Melbourne Cricket Ground (MCG) before the Southern Stand was constructed. Flinders Street Station creeps through the middle of the photograph like a caterpillar. It's difficult to see here but the dome would have been in place at this time, having been completed ten years earlier. 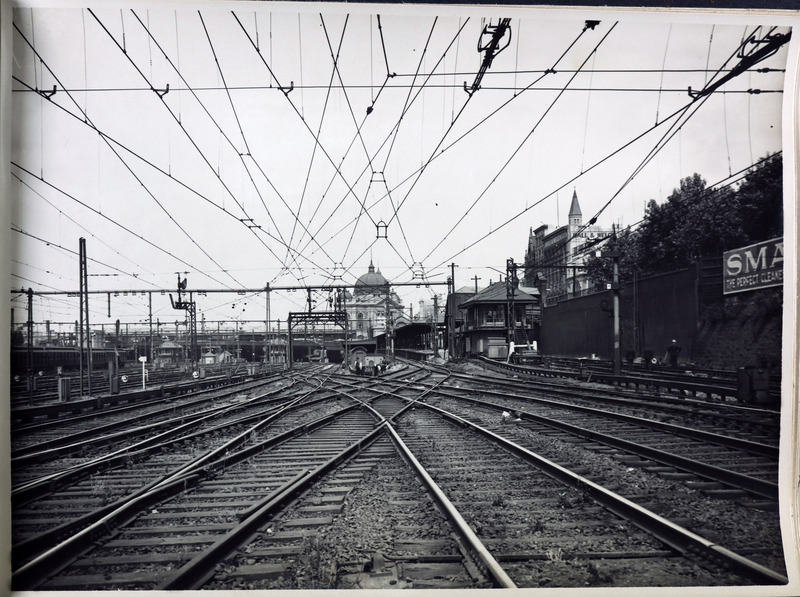 Photograph from the Vic Railways Electrification Scheme album, circa 1919, VPRS12397 p1 unit1. Further into the album you will find park views of Lake Wendouree, Ballarat, and a bush landscape shrouded in tree ferns, Yarram. Tree-lined Lake Mallacoota also makes an appearance, as does Ovens Valley, Bright, and the Forest Mountain Ash of Warburton. 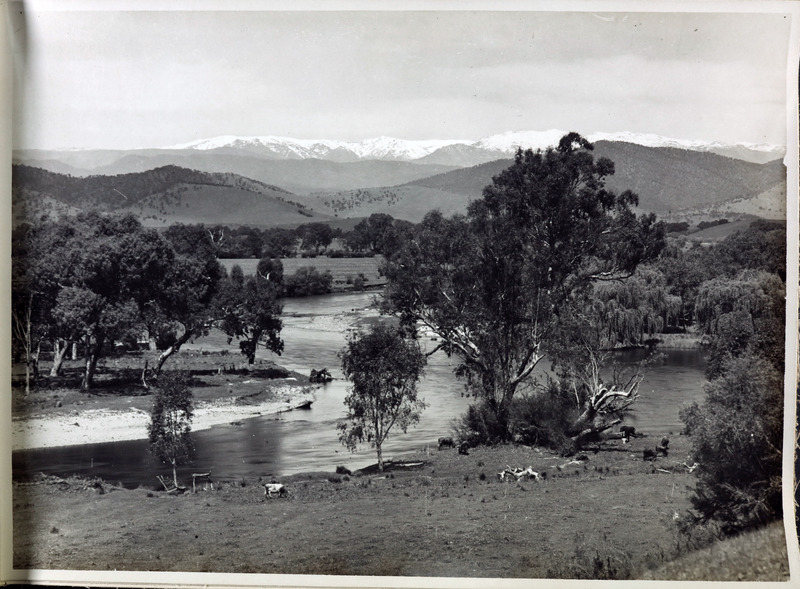 The photograph below features the upper reaches of the River Murray, Corryong, a small town east of Albury-Wodonga. Around this time newspapers were reporting about the "army of rabbits" making their way up the river. The region had suffered bushfires and drought perhaps leading to the rabbits fleeing for safe land. "Great hordes of rabbits are coming up the river from Wodonga way, Jingellic, Walwa, and Ournie are infested with them and where there are no bridges they swim the river in hundreds. The inspector here is doing all possible to prevent them from getting up here." Albury Banner and Wodonga Express. Perhaps the Inspector succeeded to some extent; after all, there are no visible rabbits in this photo! 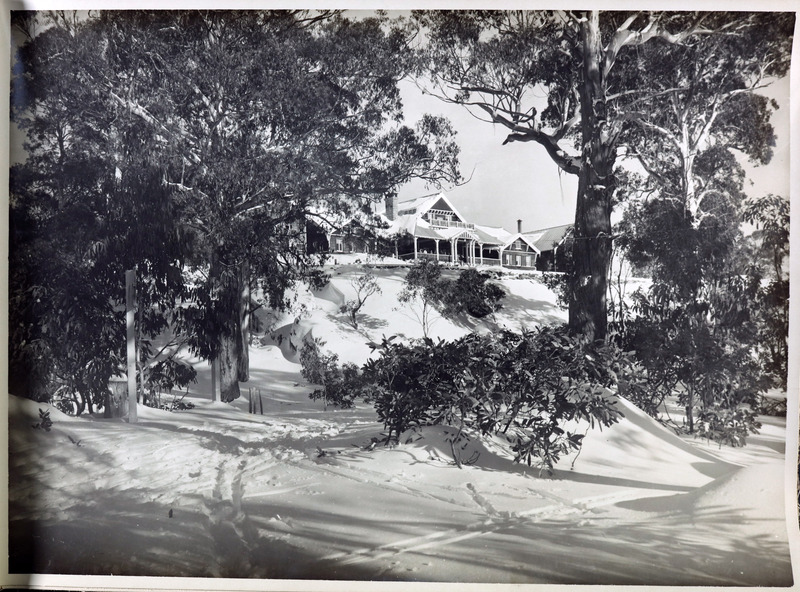 One of the most stunning photographs is that of the Government Chalet, Mt Buffalo. The Chalet opened in 1910 with management transfering to the Victorian Railways in 1924. In 1919 the Chalet had a capacity for 100 guests and, as reported in The Herald that year, featured a dining room, billiard room, baths, an abundant hot water service and septic tank system. A central heater was also installed. According to the Heritage Council website, alterations and improvements were made in 1925-26 and again in 1937-38 ultimately providing provisions for 200 guests. The Railways managed the Chalet until 1985. The building was closed in 2009. Flipping further through the album are stunning scenes of Lake Omeo, the Goulburn River in Alexandra, Laanecoorie Weir, Port Campbell (pictured in the top banner), and then the pages take us to Newport Power Station where we head inside into workshops and engine and control rooms - all obviously an integral part of the electrification scheme. 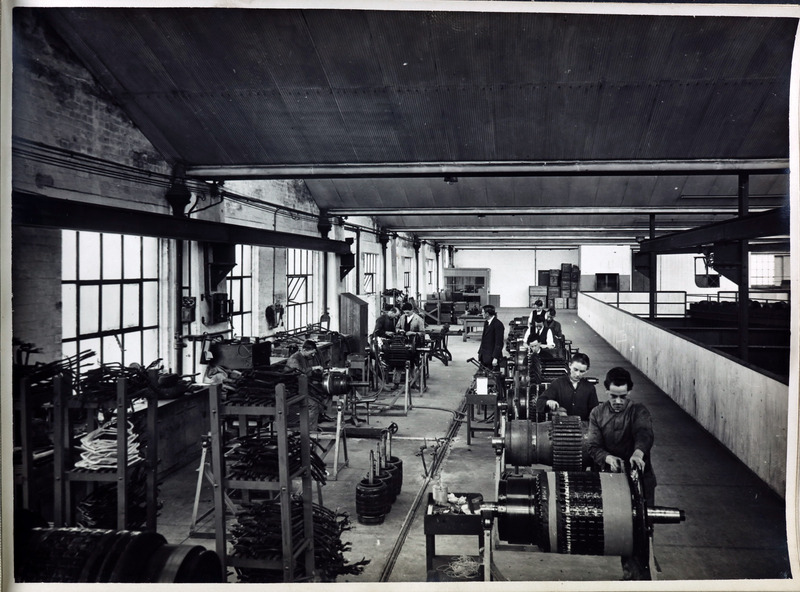 Circa 1919, VPRS12397 p1 unit1. "In order to get an idea of the size of the building it is necessary to visit the site itself, for the block as it stands, with nothing near by to compare it with, looks deceptively small from a distance. For instead, the turbine room, with the three long windows just to the right of the boiler house is larger than St Paul's Cathedral." Finally we make our way out onto the tracks, where we discover the beauty of different track structures and the pin arch construction and cross span. Below is the beautiful sight of Flinders Street Station in the background, shrouded by overhead crossovers and cross span construction along Princes Bridge. Melbourne was the first city in Australia to electrify its train services. The scheme was an immediate success with patronage soaring as a result of the quicker travel times and increased services, replacing steam train passenger services of the time. You can view each page of the Victorian Railways Electrification Scheme album via the Flickr gallery below. Or view the album in a new window (and see all the image descriptions) here.